With Anurag Kashyap at the helm, of course, you do not expect the standard love triangle and even as he expectedly works to subvert a good many tropes of the genre and create perhaps his most accessible film for the ‘aam’ film viewer, Manmarziyaan, for all its bits of taking the road not taken, finally limps to a rather not so satisfactory conventional ending. You so want to like Manmarziyaan. Especially as the film begins with a bang as Kashyap beautifully establishes the adrenalin driven romance of two volatile characters, Rumi (Taapsee Pannu), an ex-hockey player whose family now runs a sports equipment shop, and Vicky Sandhu (Vicky Kaushal), an aspiring musician with Jim Morrison and Bob Marley T-shirts and all, as he leaps over the roofs of houses in Amritsar to reach her house so they can make out or live out their ‘fyaar’ – or love with benefits – without apology or guilt or caring about her family’s presence in the house. This, after telling you that love is not black and white but grey. 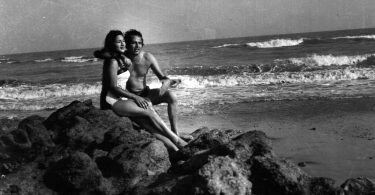 But after this exhilarating start, as the film proceeds, you realize that both these flawed and messed up lovers are little more than stereotypes themselves – he is the commitment phobic sexual stud while she is the feisty, outspoken, loud, unconventional (but must get married) and bindaas Punjabi girl reminiscent in more ways than one of Kangna Ranaut from producer Anand L Rai’s Tanu Weds Manu. 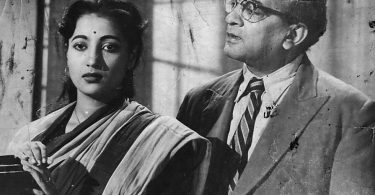 This makes it difficult for the film thereafter as it struggles going down a more treaded path despite creating some interesting bits of unpredictability, surprise, wit, sardonic humour with the occasional sharp, astute observation on notions of morality, societal conventions, marriage and romance today. The derailment happens more so with the entry of the third point of the triangle, a ‘Ramji’ like too-good-to-be-true banker, Robbie (Abhishek Bachchan), from London who has finally given in to family pressure, agreed to an arranged marriage and has come down to Amritsar to look for a suitable bride. So after an okay enough first half, the film gets bogged down and ceases to be particularly engaging in that you don’t really care what happens to Rumi-Vicky or Rumi-Robbie anymore. The performances which might have lifted the film a notch or two are generally just about okay. There is a confidence to Vicky Kaushal on-screen post Raazi and Sanju and he builds upon this expertly playing the DJ who wants to be the next Yo Yo Honey Singh. He mixes his high testosterone ‘fyaar’ and carefree moments with some genuine vulnerability when he has to come face to face with the fact that he might lose Rumi altogether. Abhishek Bachchan returning to the screen after a hiatus is bland playing an admittedly bland character not having much to work with. He is therefore unable to generate the empathy his character, a sane, mature vice in the messy love triangle, deserved. Neither really can Taapsee who gamely tries to create some high, volatile moments of her own but otherwise gives an obvious ‘performance’. One also never finds enough in her interaction with Robbie for her feelings to change so dramatically towards him. The supporting cast, however, are all well-cast, better fleshed out, and what’s more, are spot on in their acts. The relationships of Rumi with her grandfather and sister are particularly touching. The use of the twins in Kashmir and Amritsar is an interesting device that you wish Kashyap could have done more with as in the film’s beginning. The technicalities too are adequate. Special mention has to be made of the film’s production design as it brings Amritsar and its inhabitants to life. Rumi’s house with its various floors is beautifully used, none better than in the sequence when after being caught with her, Vicky has to do his walk of shame floor by floor. And evocative though parts of Amit Trivedi’s soundtrack and background score is, it fails to be as effective on screen as the songs, used in the background, are far, far too many, especially in the plodding second half and do not really move the narrative forward but are instead mostly cut on the character’s introspective moments. While it certainly helps audiences to understand what the characters are going through, this becomes a mite too repetitive and does the film’s 157 minutes running time no favour. There is the occasional high flourish in the film’s editing pattern, for instance, the intercutting between Rumi waiting for Vicky to run off in the night and her marriage to Robbie the next day but this type of treatment is sporadic and therefore at odds with the rest of the film’s storytelling. 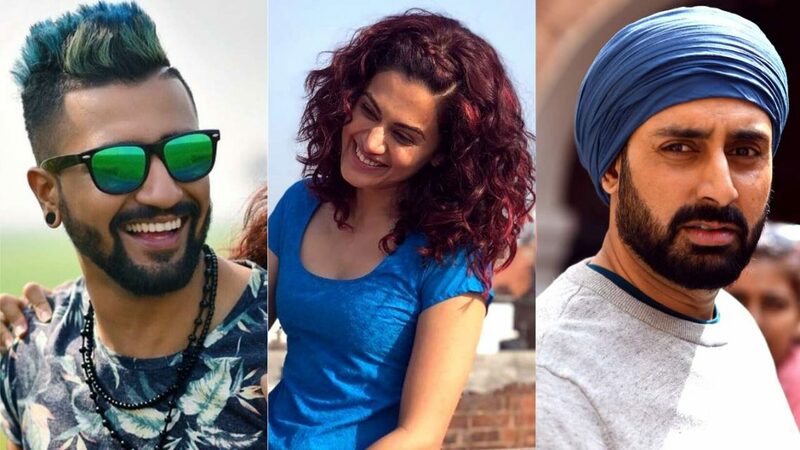 All in all, Manmarziyaan, through breaking some tropes of the Hindi film love triangle and having its moments, finally finds itself in no man’s land as it unsuccessfully tries to combine the unconventional and the conventional. The oil and water, for all the whisking even by an expert director like Kashyap, do not mix after all.